We’ve all got that friend who’s had amazing results with a low-carb diet. And then we have another who cut out fatty foods. Then there’s that plant-based person, the vegetarians who eat fish, the vegans, the bacon lovers, the lactose intolerant, and, of course, the gluten free. The world is full of different diet plans, and one thing we can learn from all this: no two people are the same. However, we are living in an age where we can easily obtain DNA testing results that provide a peek into how our bodies work. So how does it work? 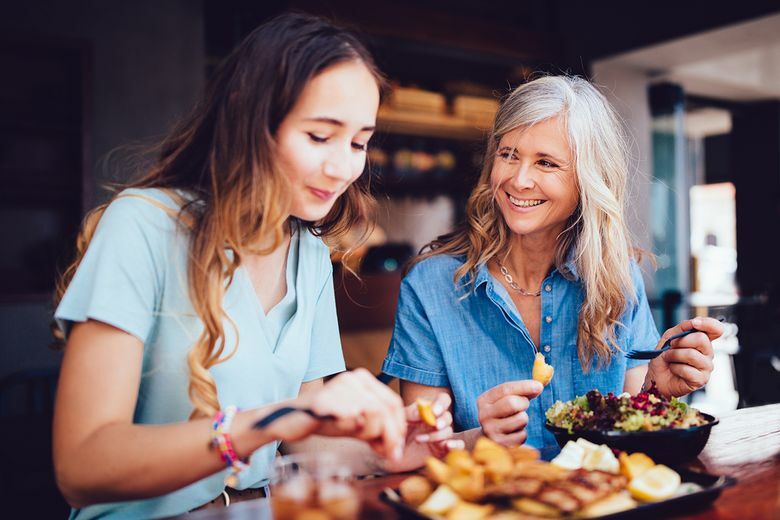 All it takes is a simple cheek swab which is sent to a lab, and a week or two later, you can meet with a registered dietitian who can help you decode your genetic profile and start answering questions like: How do my genetics impact the way I should eat? Why do certain diets work for others and not me? With this information you can create a lifestyle that will lower your likelihood of expressing the less healthy genes and leave you looking and feeling your best. Here are some ways that genetics can influence one important topic regarding nutrition: our appetites. Cravings are defined as a strong and powerful desire for something. Cravings for sweet foods can be triggered by gene pathways, and if you have this predisposition, a nutritionist can help you identify trigger foods, nutritious ways to satisfy the craving, and times and places to eat to mitigate desire. Humans need to eat to survive, so it makes evolutionary sense that eating certain foods triggers our brain’s pleasure response. What genetic testing can show us is that these rewards may feel stronger in some people than others. People with this adaptation can work with their dietitian to create meal plans that are nutritionally varied and nutrient-dense. They can also become more skilled in ways to find non-food pleasures that are equally as satisfying and promote long-term gratification. Some people have a genetic predisposition to weight gain and obesity. If you’re a carrier of these genes, it can help to work with a dietitian to create specific calorie and macronutrient targets, to track body composition, and for you to understand the importance of protein, fiber and water in your diet. If you find you have a slow metabolism it means you may not burn as much energy at rest as someone of a similar gender, age and size. There are dietary changes that you can make to help preserve your metabolism, including changing your meal timing, how you space out your protein, carbohydrate and fat intake, and even how much water you consume. There are genes that are correlated with higher levels of our body’s natural hunger hormones. These people may never feel like they get enough to eat. To combat this, it’s important you make sure you’re eating the right amount of protein and vegetables, an appropriate number of calories, enough water and fiber, and to optimize your food environment and meal timing. These days, DNA testing can tell us a bit about why we eat the way we do and what we can do about it. Knowing your genetics is about using this insight into how your body works to optimize our health. We’re living in the dawn of a beautiful age, an age when we can say that our need for chocolate may be scientifically proven. Don’t argue; it’s SCIENCE. However, it’s also time to face some facts. Take the guesswork out of trying fad diets that are difficult to follow and may not be the right fit for you. It’s time to stop listening to what worked for your friend and to check out your genetic profile to learn more about what will work best for you. PRO Medical physicians, geneticists and health professionals use breakthrough gene science to translate your unique genetic blueprint into actionable programs that are personalized to your body’s specific needs.